The Newnham Fitness Centre makes it easy for students, employees, alumni and community members to make exercise part of their daily routine. Members can take advantage of the weight machines and free weights for resistance training and treadmills, ellipticals and stationary bikes for cardiovascular training at their convenience. Bosu, stability and medicine balls are also available for core training. All memberships include regularly scheduled lunch-time and evening fitness classes, plus a fitness consulation and personalized fitness programs to assist members to reach their goals. Changerooms with showers, workout towels and day-use lockers are also available. For more information or to register, visit the Fitness Centre located in the Sports Centre, 1 st floor, Building G or call 416-491-5050, ext. 22976. 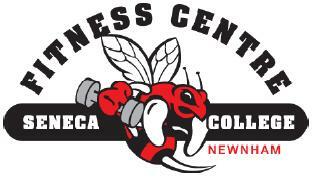 For more information, please go to the Newnham Fitness Centre website.